For the best Italian meal in Richmond, VA, come by Little Angela's Ristorante today! 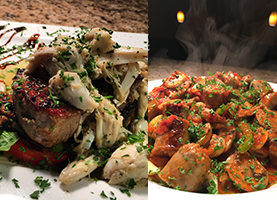 Little Angela's Ristorante is an authentic Italian restaurant, and we're proud to serve some of the most delicious Italian dishes in Richmond, VA.
Little Angela's Ristorante is the most authentic Italian restaurant in Richmond, VA! A meal out at Little Angela's Ristorante will make you feel as if you're dining in a coastal town in Southern Italy with charming and friendly locals. At Little Angela's Ristorante, we specialize in Italian comfort food and classic dishes that highlight the flavors and ingredients of Sicily, making us the most authentic Italian restaurant in Richmond, VA.
Our extensive menu has plenty of options for everyone, from classic pasta dishes to tender veal, hearty steak and freshly prepared seafood. Our regulars also consider ours to be the best pizza! Try it for yourself and you'll agree! In addition to our fabulous food options, we also have an extensive wine list. You'll find plenty of fine Italian wines to pair with your meal to make your night out even more special. Whether you're celebrating a special occasion or just enjoying a fancy date night out with your sweetheart, our food and wine menus will elevate the elegance of your night. Besides just our delicious and gourmet Italian cuisine and wine selection, we also pride ourselves on the exceptional customer service we offer to each and every diner who comes through our doors. We treat all of our diners as if they were members of our own family and do everything we can to make sure that every meal eaten out at Little Angela's Ristorante is the best it can possibly be. 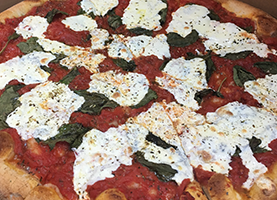 For the best and most authentic Italian food, and the friendliest service, stop by Little Angela's Ristorante and try one of our gourmet pizzas or hearty pasta dishes. 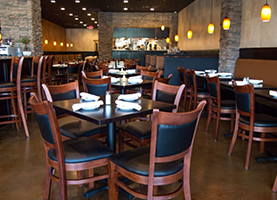 Call us today to reserve a table for your next meal out, or just stop by whenever you get a craving for delicious and authentic Italian comfort food. We love serving all of our neighbors!